Who am I kidding? I love oatmeal. But for the sake of this post, let's go with the above statement. 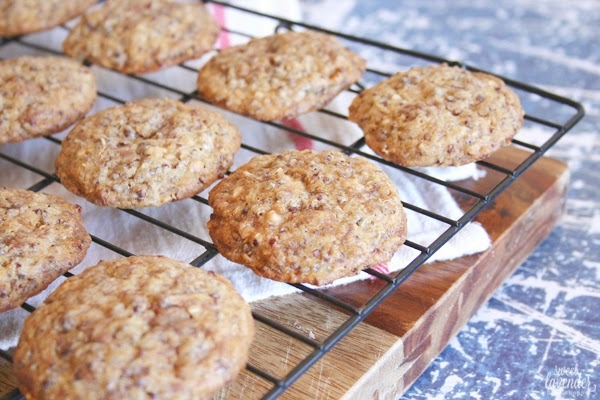 Why not jazz up the 'ol oatmeal cookie with some amazingly fun ingredients like toffee chips (can I get an amen on these babies????) and quinoa! Quinoa? Yep, quinoa! 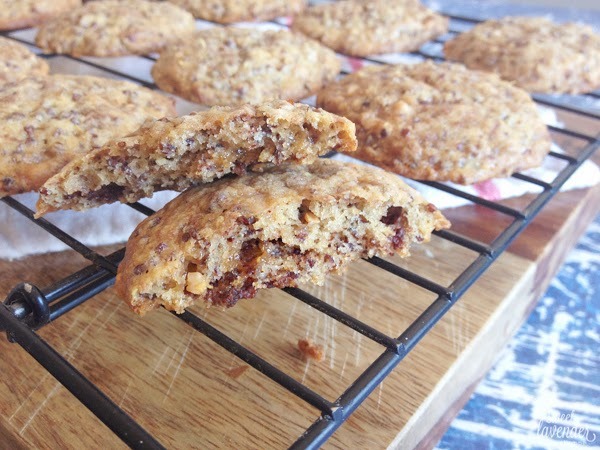 The good for ya, protein packed, fiber filled, healthy grain alternative makes its way into these chewy and slightly crunchy toffee packed cookies! While encountering a serious sweet tooth for cookies, I decided to give our standard oatmeal version a health boost so that I didn't feel so guilty when eating half of the batch a few. Cooking the quinoa first, these cookies take on an unbelievable texture and chewiness. I used the red version, but seriously- use whatever color you've got on hand. Upon baking, the toffee chips melt a tad and adhere to the quinoa giving off little bits of crunch throughout. So yummy. And yes, there is indeed a full cup of toffee bits added as well. A girl has to live, right? Things can't be too healthy now. 1. In a small sauce pot, add your dry quinoa and water. Allow to come to a light boil and then reduce heat so that you have a steady simmer. Cover pot and cook 11 minutes or until quinoa is done. Turn heat off and drain quinoa very well. If any liquid remains, your cookies could end up too moist. So press down lightly and really drain well. Allow to cool completely. 2. Preheat oven to 350°F and make sure oven racks are in the middle of your oven. Line sheet pans with parchment or silpats and set aside. 3. Into a bowl whisk together flour, baking soda, and salt. When it is time to add to mixer bowl, you can transfer this to a sheet of parchment. Simply bring edges together to form a "spout" and pour into bowl! Until then, set aside. 4. In a stand mixer bowl, with a paddle attachment, beat together your butter and sugars until light and fluffy- about 2-3 minutes. Stop, scrape down sides and bottom of bowl and add your vanilla extract and egg. Mix again until thoroughly combined. 5. Next add 1 packed cup of chilled cooked quinoa to your bowl and mix until just combined. Add flour mixture (either straight from bowl or by pouring from parchment like discussed earlier) and toffee bits/chunks and mix until it also just comes together. 6. Scoop dough using a 1 1/2" ice cream scoop or tablespoon and place onto your sheet pans 2" apart. Once sheet pan is filled up, place into fridge to set up and chill 10 minutes. 7. Bake cookies in center of oven for 14-15 minutes or until edges are an amber brown and center is just barely gooey (lightly press with finger). If baking on parchment paper, watch the bottoms closely, may brown quicker than ones on silpats. 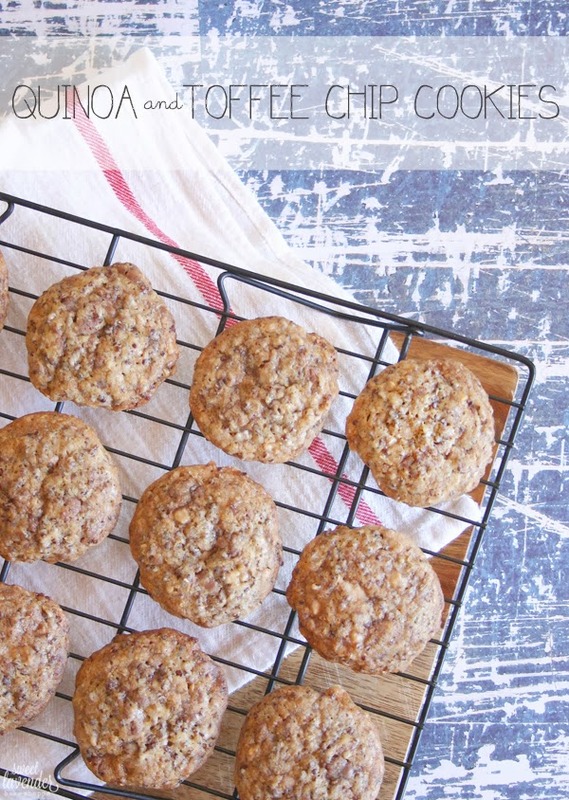 Because of the moisture in cooked quinoa, these cookies will need to cook a tiny bit longer than usual for a chocolate chip or oatmeal type cookies. We need to cook out that moisture so that they hold their shape. Keep an eye on them after 12-13 minutes. They should be soft, with crispy edges, but not falling apart. 8. 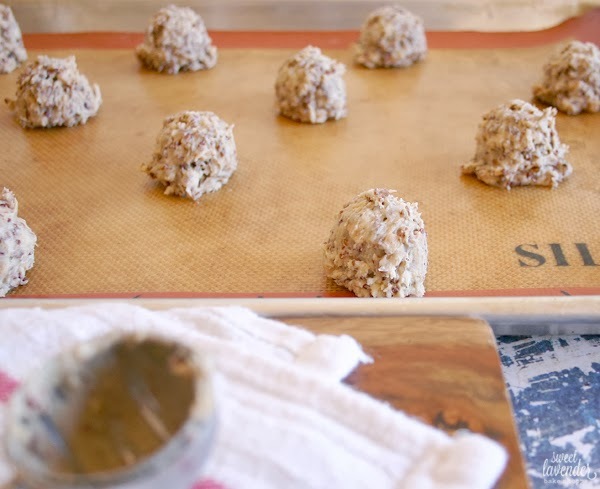 Allow cookies to cool 10-15 minutes on pan before moving to a rack or plate. Soft. Moist. Crispy edged with a fluffy and chewy middle. These cookies are packed full of protein (thanks quinoa!) and have little bits of crunchy toffee pieces! Yum, right? I always make oatmeal chocolate chip cookies but toffee chips sound amazing. And I never, ever would have thought to add quinoa to cookies! 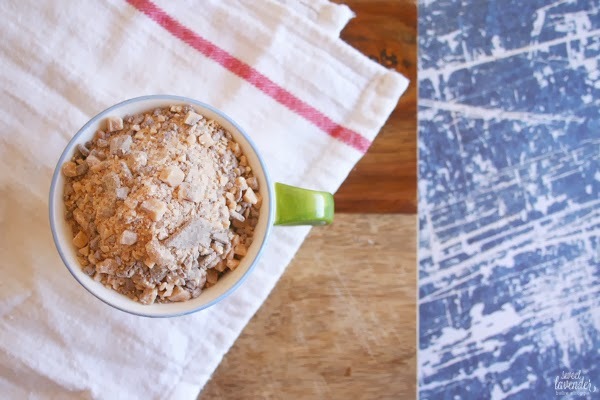 I want to play around with this recipe and make a breakfast cookie! Yum! Yes!! Let me know if you do! Holy yum...I need these in my life an hour ago so I could be munching on them right now! Can't wait to try this! This looks crazy amazing! I'm so excited to try it! These are so incredibly unique! Love the idea & pinned! Wow! Thanks so much for the kind words and support!